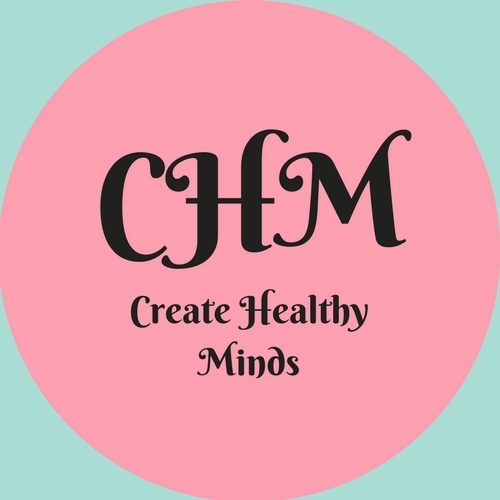 Create Healthy Minds is a concept that I have been pondering over for a few years now however always found myself wondering what the “right way” to do it is. There is a surge in people organising and delivering courses and workshops around mental health and I find myself aghast at the way these are marketed. I think, would I really go to something that basically says, “come here, let’s write about our problems” and so in my frustration Create Healthy Minds was born. At present there is a rise in both the research and implementation of social prescribing as an alternative and more holistic approach to patient care. Social prescribing allows primary care practitioners to refer their patients to a range of social activities as part of their treatment such as exercise schemes, arts and crafts groups, healthy eating programmes and many more. Having an illness or disability of any kind can be a very isolating time and social prescribing brings an opportunity for people to re-engage with like-minded people which might just give them the boost they need, and I believe the arts have an important part to play in this. For a whole host of different reasons the arts sector provides comfort, support and an outlet to those struggling with their mental health. This could be reading a poem that makes you want to shout YES because it perfectly describes the way you feel in a way you haven’t heard before; that book that takes you so far away from your day to day life you finally get a break or seeing that play that makes you feel emotions you never knew you had. Writing can be cathartic, you can say whatever you want to whoever you want, and no one ever need know about it. I feel there is a gap for harnessing this greatness by giving people the opportunity to explore it in a safe environment. I believe this environment should be for everyone irrespective of how they are feeling in their mental health because we all exist on a continuum and our position on this varies day in and out. I spend most of my time working as a mental health nurse, I see the benefits of “doing” on a day to day basis. That is re-engaging with life, taking part in activities you may have previously enjoyed before you became unwell and for some people that is arts-based activities. I truly believe in the healing powers of the arts in all forms and feel passionate about enabling others to see and experience this be that through creative writing workshops; attending performances or going to galleries. I intend on using this site as a means of sharing reviews both directly and indirectly relating to wellbeing/mental health; interviews; advise and tips.